Progressive video poker games are played in exactly the same way as any other video poker game, with one major difference: all bets feed a percentage into a massive jackpot that’s connected throughout all the video poker games on that software. If you hit a certain hand, then you win the progressive jackpot. It’s very similar to progressive slots, only it’s video poker. The main difference is that you can calculate what the progressive jackpot has to get up to in order to determine when a game has a positive expectation. If a jackpot bet on a video poker game gets high enough, then instead of a payback percentage of 99.5%, you might get a payback percentage of 100.5% or 101% or even higher. There are a number of different online softwares that power online casinos. Each one has a different version of a progressive video poker, or multiple versions. You’ll be able to find some of the major softwares and the progressive video poker games available on the following pages. We’ll also include some information about payback percentages for the video poker games, usually how high the jackpot must be in order to make the game a positive expectation bet. We’ve tried to list these in order of popularity, although we’re only basing the popularity of these casinos on our own knowledge, not anything official. Eventually each of the above softwares will have a link to its own page, which will include information about their progressive video poker versions. 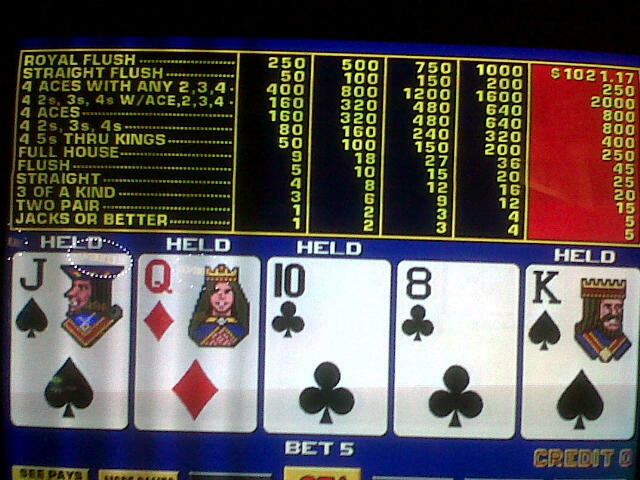 This entry was posted in Video Poker and tagged in Progressive Video Poker.